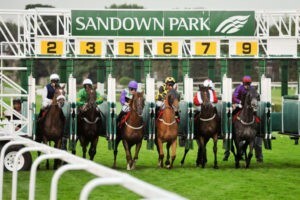 As one of the most popular racing tracks in the United Kingdom, the Sandown Park Racecourse is one that everyone should look to visit. Brimming with character and natural charm since it opened in 1875, this is a location of massive importance in the racing community. The reasons why, too, are obvious: this is a location of true importance to the region it’s based in, Surrey, as well as the wider racing circuit. 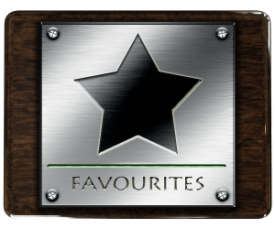 With 5 Grade One races per season, it also holds a Group 1 flat race, the Eclipse Stakes, which is one of the most popular for many racing fans. It also is home to many major events, from musical events ranging from UB40 to Sugababes, ensuring that it stands as more than just a famous racing venue. When it first opened, it was host to the Grand National Hunt Chase, and went from there to become one of the premium racecourses in the UK. Brimming with charm, this is a racecourse that sees a lot of business come from how close it is to engaging with Esher Railway Station. The easy access to and from the town means that many people love going to here, making it nice and simple to enjoy yourself at Sandown and get away just as quickly. With many major races being held during the year, from the Tolworth Hurdle to the Imperial Cup and the National Stakes, this is a racecourse that has major events taking place all the way through the year. For anyone looking to visit a classic racecourse, this is almost certainly the place to start in Surrey! Sizing John was undoubtedly the star of the 2016/17 season after completing a treble of Gold Cups: the Irish, Punchestown, and the jewel in the crown, the Cheltenham Gold Cup. He won his last four starts and delighted punters with his antics. But among that it is easy to forget how Douvan completely dominated Sizing John last season. Douvan has beaten Sizing John on no fewer than seven occasions in their careers, and Sizing John has never managed to finish ahead of his rival. In fact, Douvan has won all his races bar one, his last outing, where he went off as 2/9 favourite the Queen Mother Champion Chase but finished seventh. Yet all was not as it seemed: scans revealed Douvan had a broken pelvis. Put that result aside and Douvan is still unbeaten and is Timeform’s highest rated jumper in training by a long stretch. Check today’s racing and you will find many supremely talented jumpers, but none will come close to Douvan. If he can shrug off the injury and recapture the magic, Willie Mullens’ seven-year-old will be a force to be reckoned with and looks a great shout for the Gold Cup. Sizing John is 6/1, while Douvan is all the way out at 12/1, which looks very attractive. Another Mullins selection here in Un De Sceaux, who enjoyed a magnificent season last time around. The highlight was the Ryanair Chase, where he justified his status as favourite by putting in a masterful performance and dominating the race. Mullins also won this race in 2016 with Vautour, so he knows how to get the job done. Winning it for a second year in a row would be an impressive feat for Un De Sceaux, but it has been done before and as recently as 2011, when Albertas Run defended his crown. Foxtown, who edged Un De Sceaux to win the BoyleSports Champion Chase, will provide extremely stern opposition and is currently the favourite, but the 6/1 available on Un De Sceaux looks great. Harry Fry has a fantastic group this season, from American and If the Cap Fits to Minella Awards and Outofthisworld. But a real standout is Bullionaire, who is currently 20/1 in the Supreme Novices Hurdle. His debut was electrifying in the Newbury Sales bumper, where he romped to victory in a very competitive field, and he looks to have excellent potential. If he can build on that he looks a great long shot for Cheltenham. Uknowwhatimeanharry was one of the biggest disappointments at Cheltenham in 2017. He went into the Sun Bets Stayers’ Hurdle on an eight-race winning streak and was backed to the hilt by punters, which saw his price go all the way in to 5/6. But he got off to a poor start and never recovered. He rallied in the second half of the race but expended all his energy in doing so and he had nothing left to give on the home straight as he finished third. 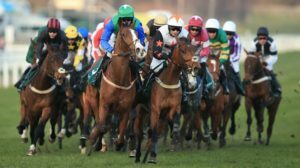 He bounced back, however, with a win in the Ladbrokes Champions Stayers’ Hurdle to end the year on a high note, and he certainly has the calibre to make amends at Cheltenham this year. He is currently 9/1, which looks a great each-way bet. Cause of Causes won this race last year and has a great record at Cheltenham. He went on to show great heart to finish second in the 2017 Grand National at odds of 16/1. He has exceptional stamina and is often there or thereabouts in the latter stages, making him another great each-way pick at 9/1 ante post to take the Cross Country Chase. Martin Green is an experienced horse racing correspondent and tipster. He has covered the Cheltenham Festival for a number of years. Following on from the flattering Malta vs England 0-4 result, in which they took an age to get out of the traps, England once again get a chance to impress on Monday in an important World Cup qualifier. A win for England will continue their reign at the top of the table, but a loss will result on Slovakia leading the group, which will be a blow for England should they wish to appear to be able to challenge at the highest level rather than just against a pretty run of the mill European qualifier group. At 2/5 to win, many will be expecting a walk over for England and of course the game is being held at Wembley Stadium which is a plus. On top of that, despite the odd uninspiring performance England still haven’t lost a game (five wins, two draws) and will be looking for that trend to continue. The Slovakian team are no pushover, but they haven’t exactly breezed through the group, with some close results. A 6-0 Friendly hammering to Sweden at the start of the year demonstrates what can result when things really go wrong for them. Kane or Vardy could help emulate that in this match in a best case scenario. However, it must be said that Slovakia’s unluckiest result to date in this group was actually a narrow 0-1 loss at home to England, where they hung on with ten men for well over 30 minutes only to concede to a Lallana strike at 90+5. On that basis, I’m not sure that I could bring myself to bet at 2/5 for the England win, when these lean odds are likely partially down to the patriotic pound. I’d perhaps be more inclined to go for a Draw/England half time – full time result at 11/4 (and possibly Slovakia / England at 30-1) . England often have a slow start and sometimes an early hiccup, and so having a few quid on these results maintains an interest in the game, without much of the down side you’d have by lumping on a straight England win. Tune in at 19:45 (Monday September 4th)!